Fortunately, legislation designed to fix that problem is already in the works. This past June, John Sarbanes (D-MD) put forth a resolution that outlines exactly how Democrats plan to hold politicians accountable for being ethical and transparent. 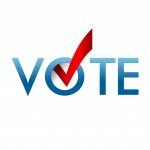 Vote.org is an online resource for people who would like to register to vote, check their registration status, receive an absentee ballot, find a polling place, and/or get election reminders. Registering to vote takes less than two minutes and is free of charge. Should Democrats win a majority, lawmakers would start by reinstating key components of the Voting Rights Act of 1965, which were invalidated by the Supreme Court in 2013. They would also enact nationwide automatic voter registration, which would effectively put an end to voter purges. Additionally, Democrats would outlaw gerrymandering by requiring states to form cross-party commissions that draw district lines. Last but not least, the party intends to create a campaign-finance regimen that would encourage congressional candidates to only accept small contributions, while also reviving the public-finance system for presidential candidates. 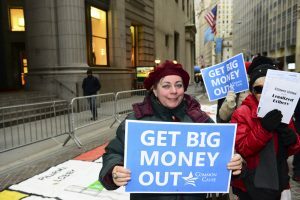 Campaign finance reform activist Fred Wertheimer believes that change can happen. As the founder of Democracy 21, a nonprofit organization aimed at combating the influence of private money in politics, he knows first-hand just how much power voters hold.